Harley checks out the new bag of treats! "Treats!" Okay, when we say that magical word, whose dog does NOT come running?! I think it's my FiveSibes favorite word! They know right away what it means and automatically assume the seated position, with Chloe, of course, being very verbal wanting her yummy snack! 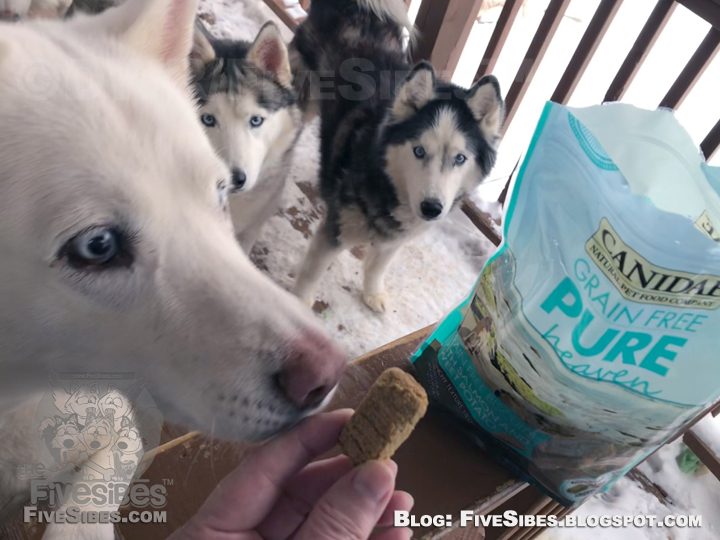 Whether it's the shake of the treat container, or the sound of a treat bag being opened, these pups know something delicious is coming! do I smell salmon and sweet potatoes?!" I am very choosy here about what my Huskies are given to eat for both food and treats. 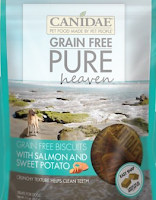 So,when I heard about Canidae's Grain-Free Pure Heaven Biscuits from Chewy.com, I knew I had to give them a try as my FiveSibes love salmon and sweet potato, and I especially liked that they are grain-free and made right here in the USA by a family-owned company! 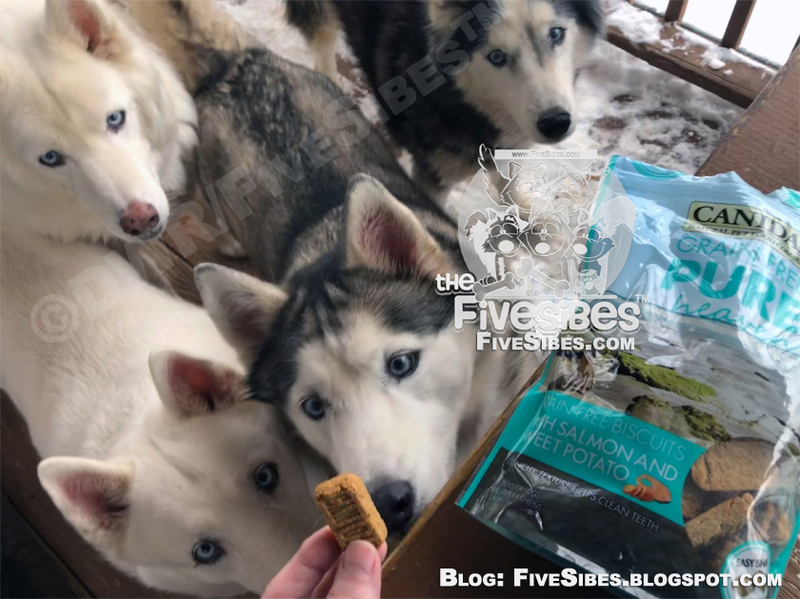 Chloe, Wolf, Bandit & Harley like the bite-size biscuits! FiveSibes is a #ChewyInfluencer. 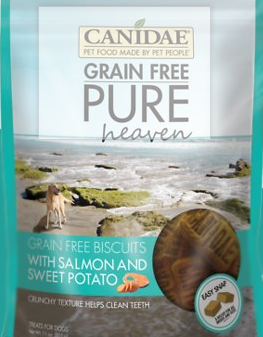 We received this 11 oz bag of CANIDAE Grain-Free PURE Heaven Biscuits with Salmon & Sweet Potato Crunchy Dog Treats, free of charge from Chewy.com in exchange for our honest review. I share only our personal experiences and opinions on brands and products I would use or give my own FiveSibes. Bandit is lip smacking in anticipation of another! 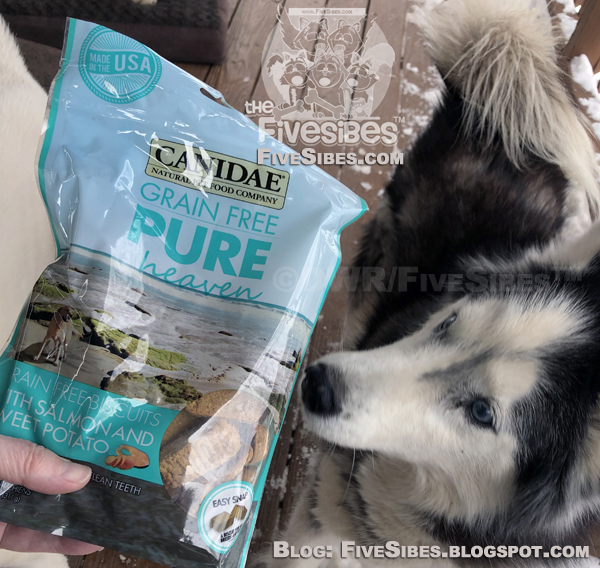 Verdict: Four Paws Up for Pure Heaven ! Adding these to my list of treats to try because my dogs love salmon. When I cook it, I always make extra and they get so excited as soon as they smell it cooking. Hopefully, they will get excited about the treats as much as your dogs. Those look mighty darn tasty. We may have to update our autoship order and get them added! 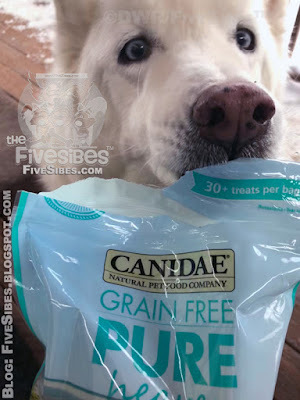 Canidae is a great brand, quality product and still independent. 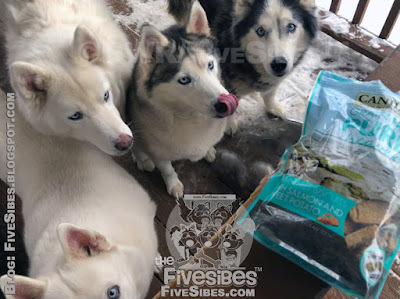 Looks like your furry family enjoyed the treats. Well I'm pretty sure my pup Remy would love these! Nature's Drive-In Theater, #FiveSibes Style! 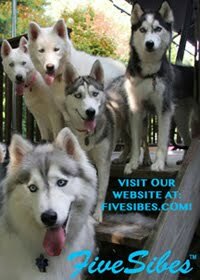 #FiveSibes Pupsters Celebrate 11th Birthay!